The now 40 year old Dirk Deroose is what we call an accomplished businessman, as CEO of the major building company Willy Naessens. And successful businessmen tend to have that same eagerness to make it to the top in everything that they do. That explains why Dirk started looking for top quality bloodlines from day one, to try and make it to the top as a fancier. And you can tell from his impressive palmares that it has been a successful journey so far, with most notably a national victory from Bourges and Chateauroux. 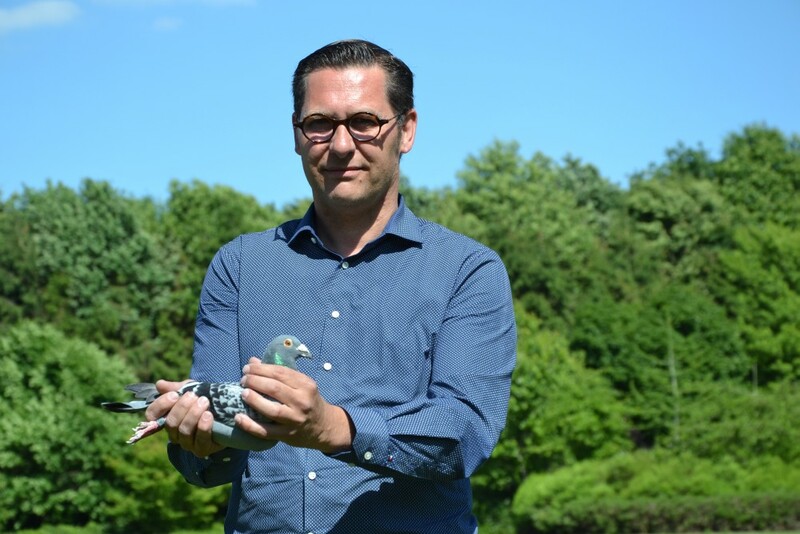 In addition, he has claimed national ace pigeon titles KBDB in the (extreme) long distance several years in a row, which shows that his loft in Kruishoutem is home to a highly talented breed. Passionately trying to raise the bar time and time again, Dirk Deroose eventually got in touch with absolute grandmaster Chris Hebberecht. It was here that he obtained the pigeon that really pushed the Deroose breed forward: Picsou (4378467-06) became the sire and grandfather of quite a few super class birds, that have in turn developed into high value breeders as well. Picsou is the type of bird that can really give you a head start as a fancier. His bloodline features in the pedigrees of pretty much all of Hebberecht’s race winners over the years, and Dirk has gained a name for himself as well with the help of Picsou, for instance by breeding the talented son Niels (4234385-11). Another renowned fancier who got a visit from Dirk was André Van Herzeele from Nazareth, who had just won a 1st National Argenton of 19,757 pigeons, in unusually tough weather. Dirk obtained both the national winner and his parents, which were the best pigeons in the collection of this excellent player. The newly obtained breeding bird André 4145554-07 (see pedigree) has in turn bred a national winner in Kruishoutem. This was clearly a great investment for Dirk Deroose. New Freddy is a name that rings a bell for most fanciers. 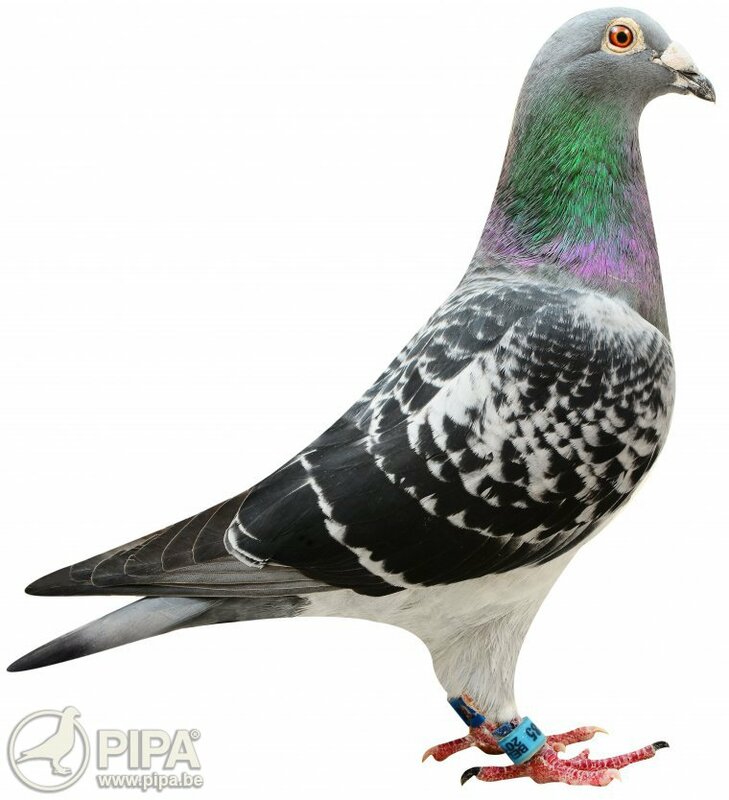 This now world famous pigeon won the title of 1st National Ace Pigeon KBDB back in the day, based on multiple provincial victories against many pigeons. 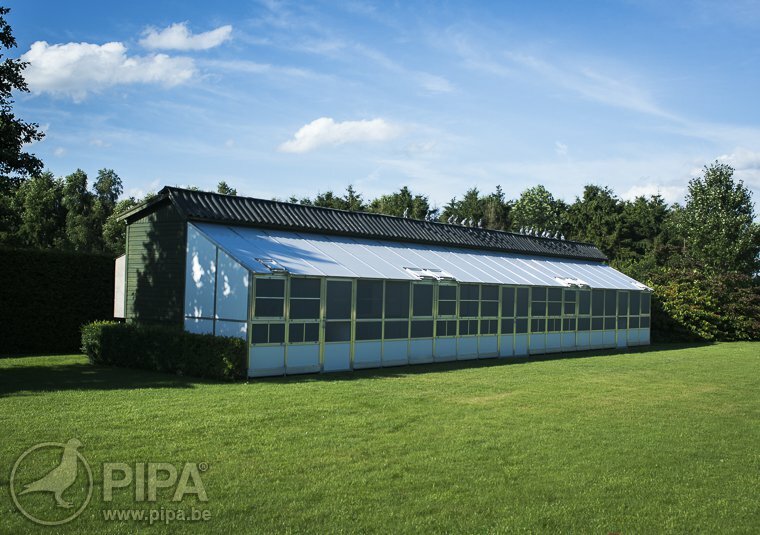 He was then introduced in the prestigious breeding lofts of PIPA, the world-renowned PIPA Elite Center or PEC. And his transfer to the PEC has made Newy Freddy (5052387-09) even more famous than he already was. Dirk Deroose then decided to put a number of youngsters of New Freddy in his loft, and that was a smart move. Lady New Freddy (4039095-13) is just one of his many descendants with which Dirk Deroose has made it to the top. This fantastic hen is for instance the dam of a 2nd national ace pigeon KBDB for Team Deroose. 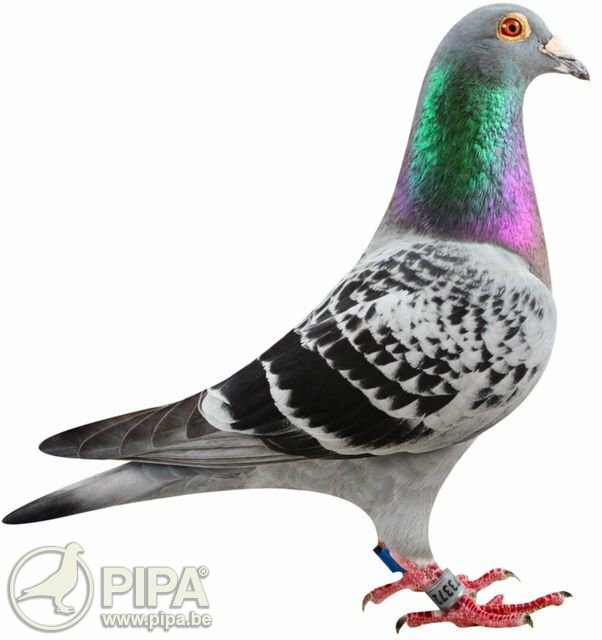 A pigeon that can manage to win an ace pigeon title KBDB is clearly in a league of his own in terms of quality. This competition looks at the individual strengths of your racing birds, focusing solely on their results in the races. And it takes a pigeon that can excel on a regular basis to win a prize in this prestigious championship! 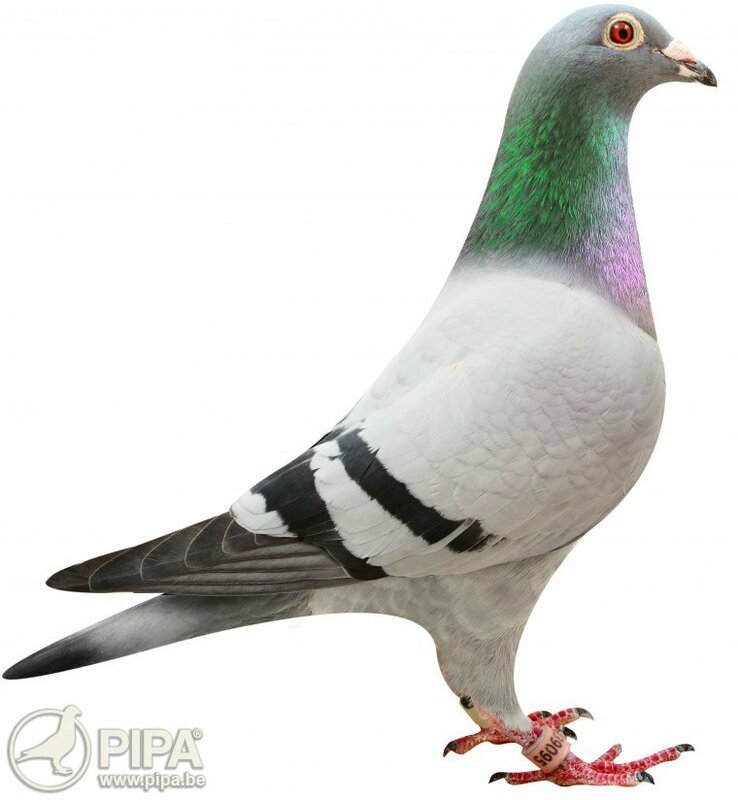 Montauban : 26 / 2124 p.
Libourne : 71 / 5890 p.
Bourges : 654 / 19736 p.
The winner of a silver medal in this particularly competitive ace pigeon championship is a son of Niels, and thus a grandson of Picsou (click here for his pedigree). The dam of Zoom (4153057-16) is Lady New Freddy, a daughter of superstar New Freddy. Zoom has won some other top results in Belgium as well, which shows that the New Freddy bloodline is a top class line indeed. Limoges : 7 / 10558 p.
Tulle : 30 / 9578 p.
Agen : 16 / 2932 p.
Narbonne : 147 / 3187 p.
Chateauroux : 419 / 1442 p.
And it turns out that Niels (4234385-11) is quite a talented breeding bird as well: the national winner from Chateauroux 2017 is one of his grandchildren! 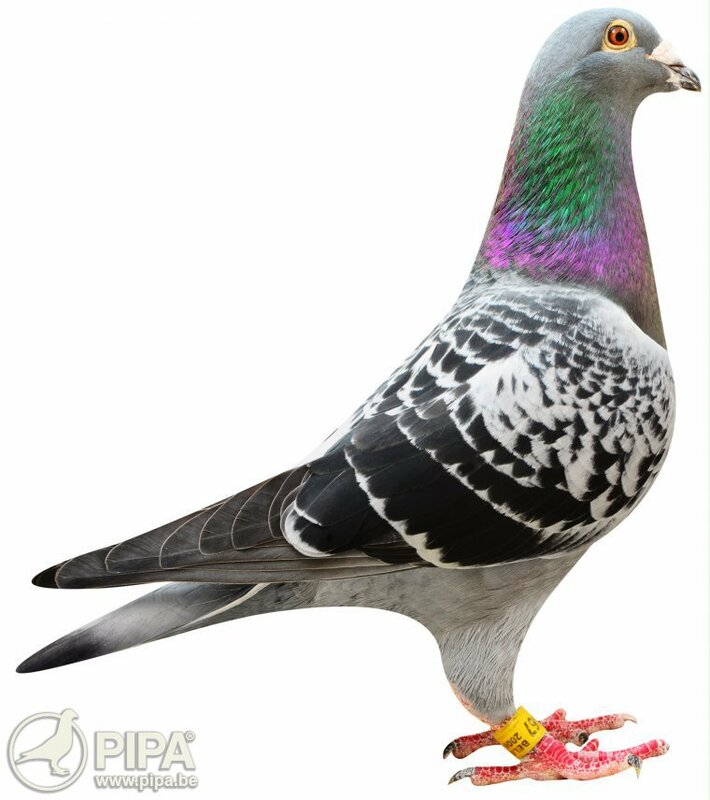 And Niels is also the sire of Zoom, the 2nd National Ace Pigeon KBDB in 2017. Needless to say, Niels has the genes of a great champion, judging from the level of quality of his descendants. Niels's full pedigree clearly shows that he is a son of La Francaise from his mother's side, and she is in turn a sister of a 1st National Ace Pigeon in France. This La Francaise stems from the breed of Georges Bolle from Kortemark, which is still considered to be one of the greatest long distance birds in history. Long story short: Dirk has a solid future, thanks to the many top quality birds in his pigeon family. Dirk often struggles to find the time to look after his pigeons dus to his demanding job obviously, and on top of that there was a Newcastle Disease outbreak in the area as well. Kruishoutem sits near the border of West and East Flanders, which is right where the perimeters were put in place after the disease spread in Zulte and Waregem. Dirk is a very ambitious and dedicated fancier, and being sidelined for a number of weeks was not something he enjoyed. But there was not a lot he could do; the ban had been imposed by the federal food agency. However, his lack of time was something that he did find a solution to: he decided to use nothing but his very best pigeons, which he selected carefully, and by making some deliberate investments. Add to that a clever breeding strategy, and you end up with a team that is all but ready to go again in 2018. 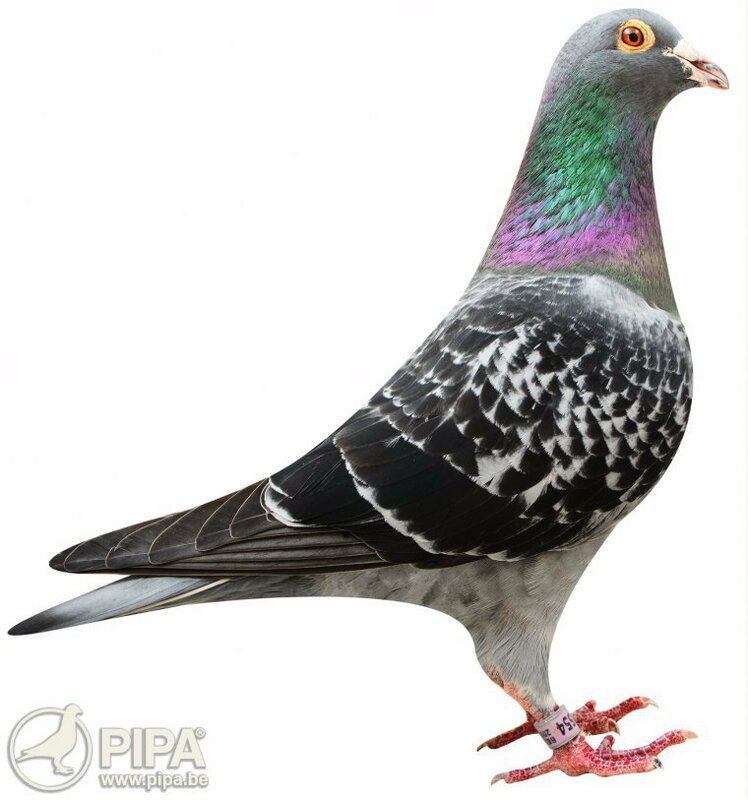 He does have the means really invest in his pigeon breed, and he is really working hard to maintain his place as one of the country's best fanciers in the national long distance competition. This loft is also home to such stars as Klarisse (4234312-11), winner of a 1st National from Bourges of 9653 pigeons (click here for Klarisse's pedigree), and Matisse (4077558-09), winner of a 1st National Argenton of 19757 pigeons (click here for Matisse's pedigree). They live together with some relatives of New Freddy, 1st National Ace Pigeon, and top class bird Marcel, another Deroose champion that claimed a 1st National from Chateauroux of 20487 pigeons. And you can tell from the ace pigeon titles KBDB that Dirk Deroose has really set a high bar.